MIAMI -- Snooty, the longest living manatee in captivity, died Sunday, a day after a huge party to celebrate his 69th birthday, according to the South Florida Museum. "Snooty was found in an underwater area only used to access plumbing for the exhibit life support system. Early indications are that an access panel door that is normally bolted shut had somehow been knocked loose and that Snooty was able to swim in," the museum said in a press release. "Snooty's habitat undergoes a daily visual inspection and there were no indications the previous day that there was anything amiss." Bradenton museum says staffers are devastated and that the circumstances are being investigated. The other three manatees undergoing rehabilitation in Snooty's habitat are all fine. The Aquarium will remain closed while staff continues its investigation and to give other staff time to grieve. Snooty had previously been in good health, eating about 80 pounds (35 kilograms) of lettuce and vegetables every day to sustain his 1,000-pound (450-kilogram) body. He loved to greet his visitors and ham it up for the cameras. On Saturday, he devoured a tiered fruit and vegetable cake as thousands of guests attended his birthday bash. 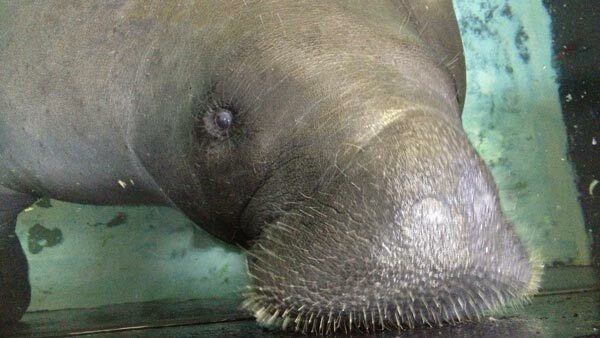 The museum said Snooty was born in 1948 at the Miami Aquarium and Tackle Company, calling it the first recorded birth of a manatee in human care. He moved to Bradenton in 1949, greeting more than a million visitors in his lifetime. Fans left heartfelt messages Sunday on a Facebook page dedicated to Snooty. "Snooty was such a unique animal and he had so much personality that people couldn't help but be drawn to him," said Brynne Anne Besio, the Museum's CEO. Over the years, some have alleged that Snooty had been replaced by younger manatees, but museum officials laugh at such tales. Snooty and many other manatees are identified by unique scars from boat propellers. Snooty has two scars on his side from abscesses that were removed over 30 years ago. The museum said Snooty helped educate the public about manatees, participating in scientific research programs to help understand things like manatee hearing and vocalization. He also hosted other manatees that were being rehabilitated for return to the wild. A necropsy will be performed.